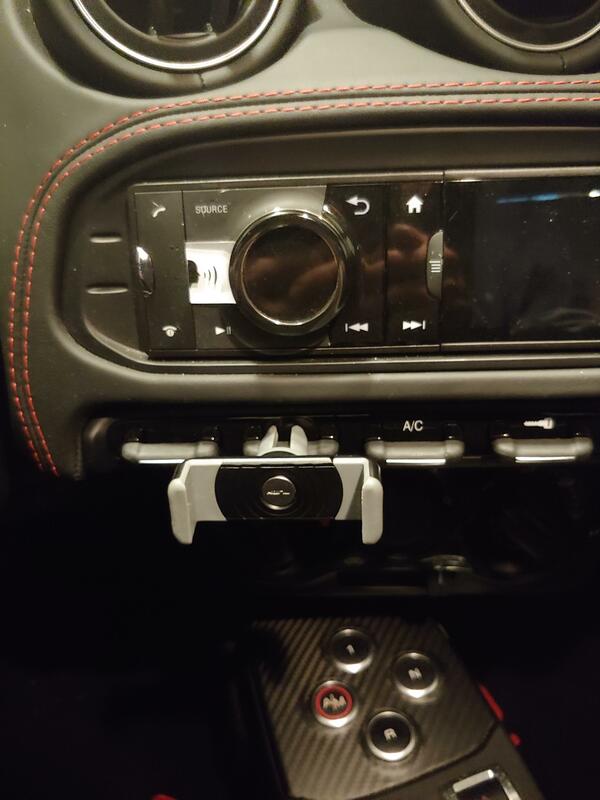 Alfa Romeo 4C Forums > Alfa Romeo 4C Forums > Electronics > iphone holder attached to the unused toggle switches? iphone holder attached to the unused toggle switches? anyone found an iphone mount that can clamp / attach to the 1 or both of the two unused toggle switches? they "seem" sturdy enough. .....right up until the point that i break one and then have to find out how much Mario is going to charge me to fix it for being dumb! Congrats on the new car. You will love it. 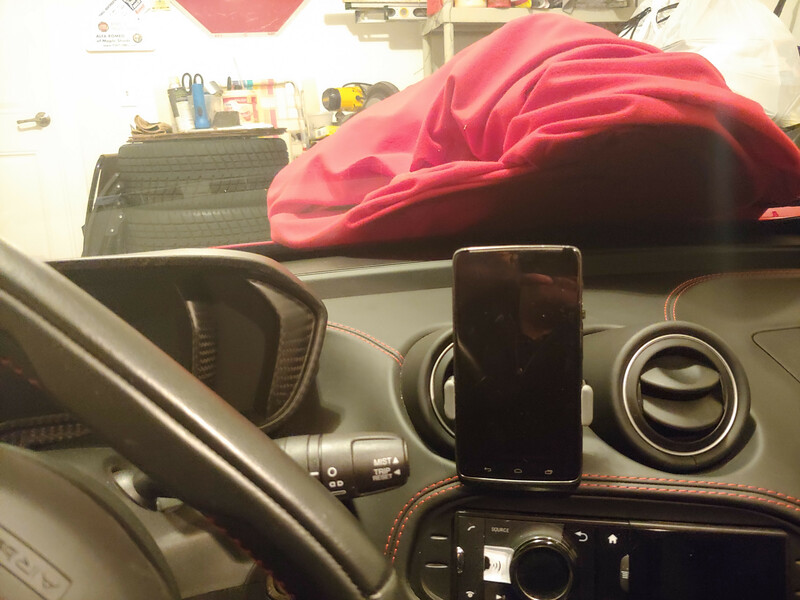 I looked into all manner of mounting a phone mount, including the switches. Also looked into using something mounted to the screws for the switch pack or the glovebox flap. The dash on this car makes phone mounts nearly impossible. The best that I came up with was a vent mount on one of the center vents, but the angles were still wrong. I mainly wanted it for use as a nag. 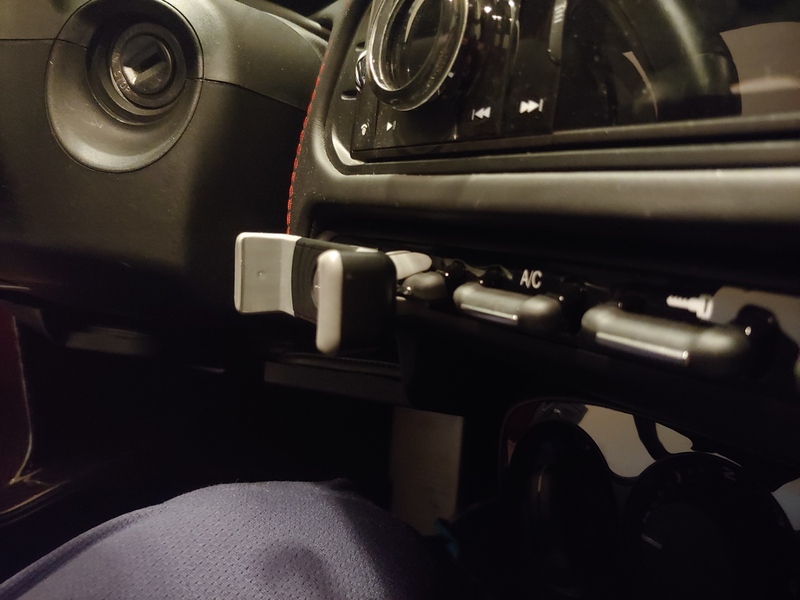 In the end the only decent solution was to change to the radio to the Joying unit for CarPlay and a leather doc mount placed on the sill on the side of the driver’s seat. Photos and details in the other main Joying thread. What did you go to? I went for this holder. @mmorando - When I want the phone out of sight, it goes where pictured. Left phone off to show mount and mounting point. 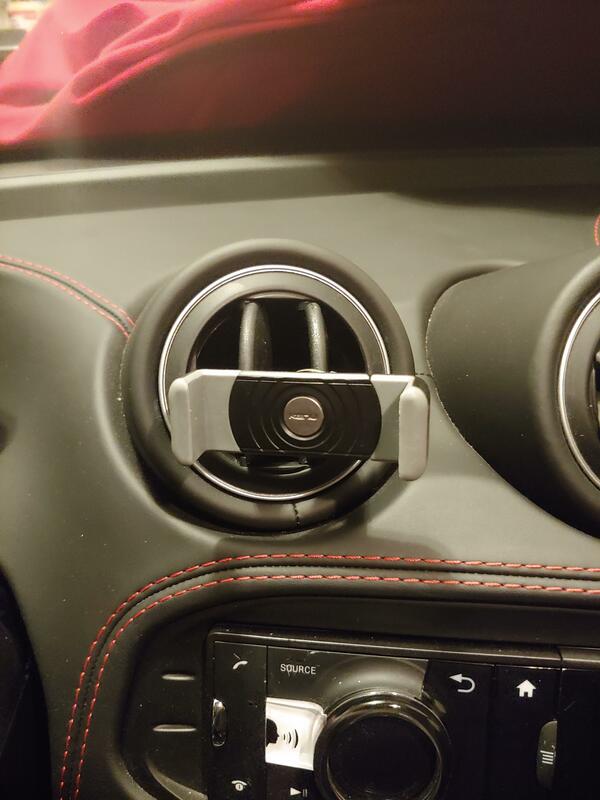 I wind up with the phone and mount on the vent outlet in center off dash most often. really appreciate you posting the detailed pics. I actually had an old Kenu and dug it out to test yesterday per your pics and it worked perfect. Vent is definitely the way to go wrt stability. and now i'm realizing you posted earlier about this so i'll be sure to diligently search the forum before posting. No worries. Searches are hit 'n' miss anyway.